I had big plans for my Christmas break. I was going to get in a couple of solid runs, a swim and some barre classes. I was also going to finish reading some of the books on my to-read pile. And I was generally going to try to pretend that the government wasn't shut down and I was still getting paid. And then I got a sinus infection, and I spent the last half of my Christmas break curled up on the sofa in the fetal position knocking back over-the-counter meds to help deflate the pressure in my head. So needless to say, my plan for an active break didn't exactly come to fruition. I did still manage to get in the swim with my mom when I was home in PA. The Saturday before Christmas was the first time I'd been in a pool probably since the spring. I felt OK, and managed to finish a solid 2300 yards. The next day my arms definitely felt like jello though. Since the sinus infection really didn't crank up in intensity until a few days after Christmas, I did manage to enjoy most of the holiday fun. I was grateful for that. 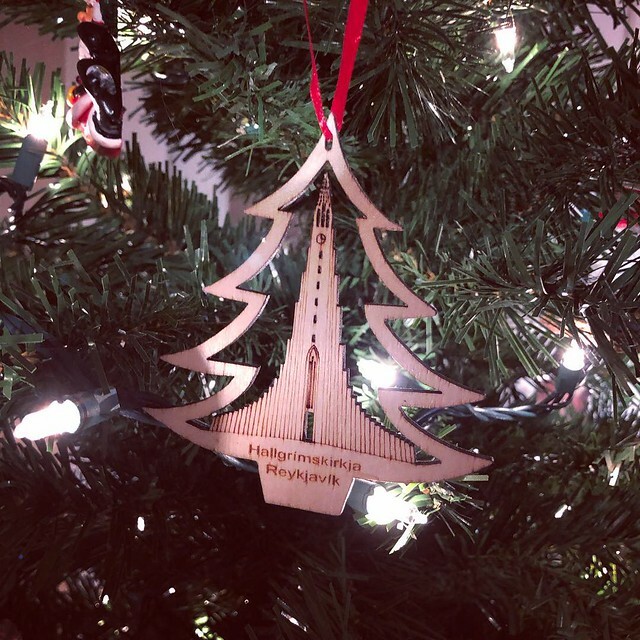 My brother and sister-in-law hosted Christmas at their house and we had a good time eating way too much food, watching Home Alone and playing a bunch of games. The day after Christmas, my mom and I went to see Mary Poppins Returns, which I thought was pretty cute. Emily Blunt was great as Mary Poppins, and Lin Manual Miranda is always excellent. By Saturday, I thought I was feeling better, so I took a nice long walk, since we were graced with a sunny and warm day in DC. But on Sunday my pounding head made me regret that decision. I slept most of the day yesterday, before watching the Eagles make it back into the playoffs. I think this morning I'm starting to feel better for real. I still have a slight headache, but it's not as bad as before. I'm hoping that means I'll get to start 2019 feeling like myself again. Sometime last year, my coworker Ashley and I were talking about books, and she introduced me to Book Riot's Read Harder Challenge. The last time I did a reading challenge was probably when I was in middle school when the BookIt program existed at the public library. Did anyone else have BookIt? I was obsessed with earning the rewards for reading books in the summer. We ate a lot of those PizzaHut personal pan pizzas when I did BookIt. Anyway, the idea behind the Book Riot challenge is to encourage you to read books outside of what you typically gravitate toward. I started the book challenge in the spring when I learned about it, and was able to cross out several categories right away with books I'd already finished in 2018. This is everything I read this year as part of the challenge. All the reviews of these books are on my Goodreads. Some I loved, some I hated. (I will never enjoy Pride and Prejudice no matter how hard I try). Some are books I would have read even without the challenge, but some definitely are not. * There's apparently a big debate in the book world about whether or not you should "double-dip" and use the same book to qualify for several different categories. I read a lot so I'm all for it. Any book with an asterisk next to it, I used to count for multiple categories. Coming up soon my favorite books of 2018! 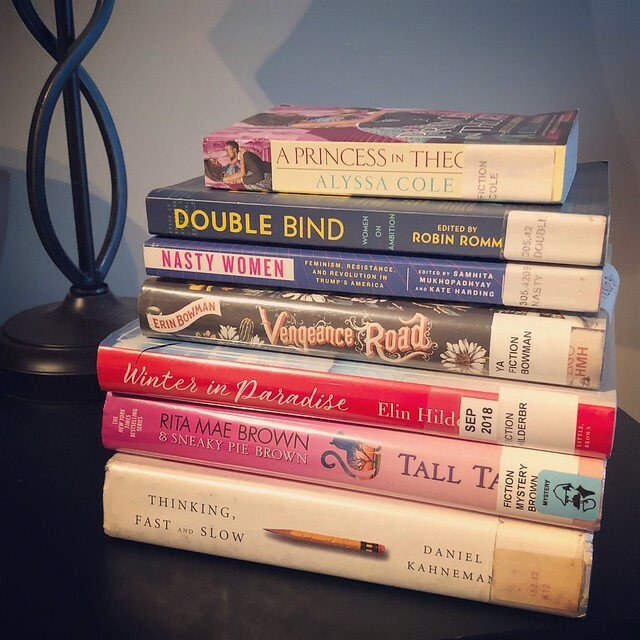 November was a good month of reading for me -- largely thanks to some down time over Thanksgiving when I tore through some of the books lingering on my "to read" pile. I also made a strong push to knock out some of the remaining categories in Book Riot's Read Harder challenge so that I could finish the challenge before the new year. I made some good progress there, and like any good reading challenge, some of the prompts definitely pushed me outside my normal reading comfort zone this month. I'll do a full blog post on the challenge later this month once I finish the last couple of books. I'll also have my annual favorite books of the year post coming up later this month. I've been reading a ton of best of 2018 book lists (from places like the NY Times and NPR) and I'm glad to see a lot of the books I loved this year other people loved too. Anyway, I'm getting too far ahead of myself. 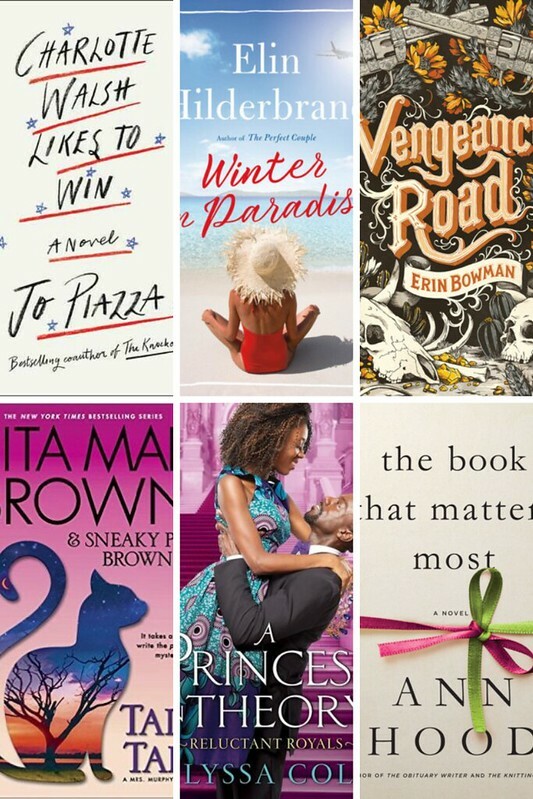 Here's a look at the books I read in November. As a lover of books, I enjoyed that this book centered around a woman in a book club and her family. I loved how the author wove parts of the plots of the book club's selected books in to the larger overall plot of this specific story. It was creative and smart. I don't really read romance novels ever, but this satisfied one of the categories in my reading challenge, and I found myself enjoying the book more than I expected. The steamy stuff was kept to a minimum and the main character was kind of a badass STEM researcher. I tore through this book, and found that the storyline was gripping and at the same time a very depressing commentary on the state of politics and women in politics today. I also equally loved and hated the ending. I don't want to spoil it here, but I need to discuss this with others! I read this as part of Book Riot's Read Harder challenge, and while I overall enjoyed the book, I thought it was a little slow to get moving. For a murder mystery, I was expecting something a little more face-paced. I did enjoy the story lines featuring present day characters and those from the 1800s and how history impacted the present. I always tear through Elin Hilderbrand's books. They are some of my favorite reads, and this one didn't disappoint. It's the first of her books set outside of Nantucket, and it was fun to dive into characters lives on the island of St. John. I believe this book is the first in a trilogy, and I'm already looking forward to book 2.
part of my reading challenge, I was dreading it and put it off for a long time. I stumbled upon this option, and I'm glad I did because the story was compelling and interesting enough that I didn't hate that I was reading about cowboys and outlaws and the Wild West. It featured a young girl out to get revenge for her father's murder. It was kind of cool to read a Western featuring a female lead. Yesterday the federal government was closed for George H.W. Bush's state funeral. That meant I had a surprise day off in the middle of the week. Seemed like the perfect opportunity to go for a nice long run in my new shoes. I realized on my last couple of runs that my shins and feet were getting kind of sore, and I was trying to remember how long ago I'd bought my previous pair of shoes. So I looked back into my Amazon account and discovered I'd ordered them at the beginning of April. They were 8 months old! When I slipped my new pair on for the first time, it felt like I was running on clouds. My normal running route had some road closures yesterday because of the motorcade for the funeral, so I got creative whenever I ran in to a barricade or line of police officers. 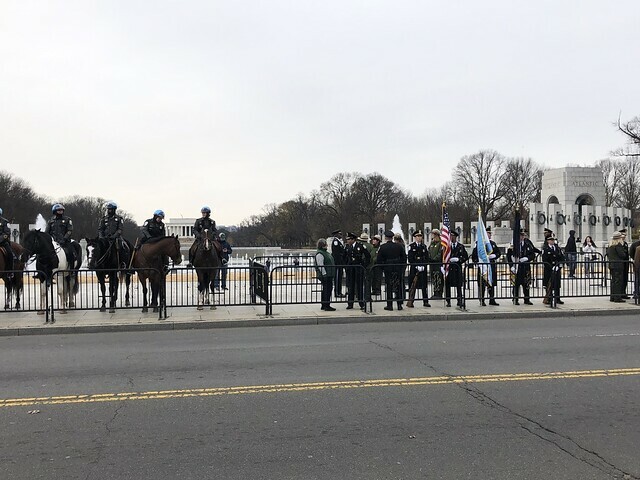 I stopped to take this shot of the officers lined up alongside the World War II Memorial. Bush's motorcade was slated to drive past after the funeral on his way to Andrews for the flight back to Texas. My original goal was to run about seven miles, but with some of my detouring, I ended up running eight. 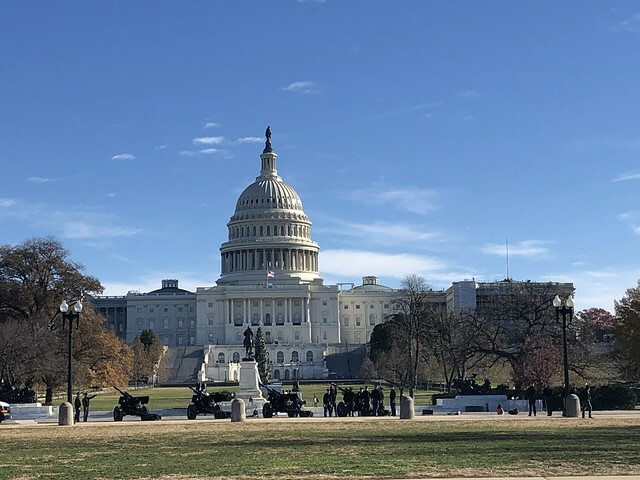 I started out heading toward the Capitol building and extended my normal loop by a block or two to make sure I'd clear the security barricades. On the back side of the Capitol grounds, I did have to awkwardly hop over a half way toppled temporary fence to get out of the complex. This shot was from my run on Monday, when they were starting preparations. The weather Monday was also much nicer than yesterday. From the Capitol grounds, I continued on to the Mall. Normally, it's packed with people, but it was weirdly quiet yesterday until I got closer to the motorcade route. That was lined with police officers and people waiting for the funeral to end and the motorcade to drive past. It was a cold day, and those people probably at least two hours to wait from the time I was there running. There was a helicopter doing slow circles over that part of the Mall from the Washington Monument out of over the Tidal Basin and near the White House. Probably keeping an eye on everything going on. 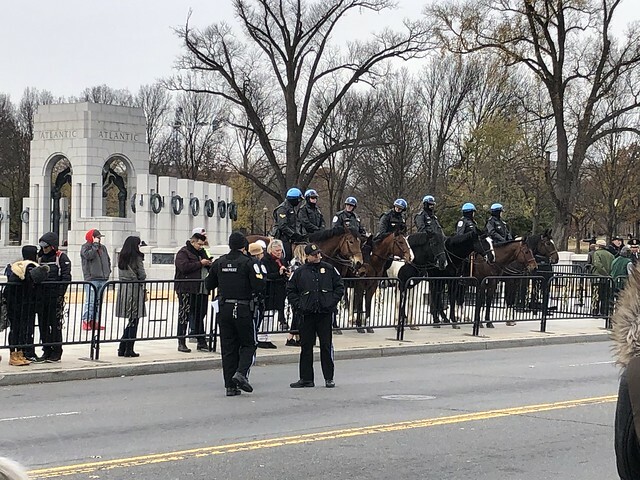 Security has been much higher in DC since Monday. I finished my run by looping around the Lincoln Memorial and heading back home. Other than some calf tightness around mile 4.5, everything about the run felt pretty good. I stopped to walk once (and of course had some slow downs when navigating barricades and stuff), but overall, I felt good and strong on my run, and I'm not too sore today. 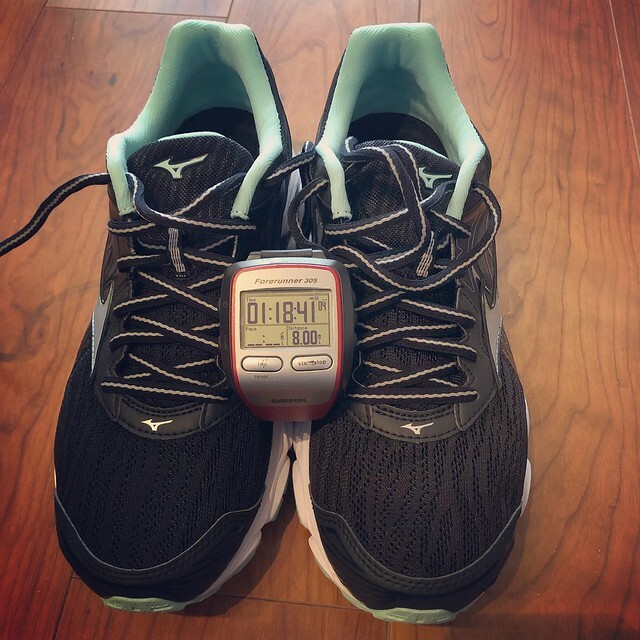 I'm sure a lot of the credit goes to my new shoes, but I'm also happy that I'm slowly but surely starting to build up a solid running base again.